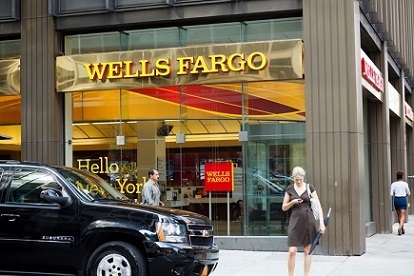 A news agency has reported that the new acting head of the Consumer Financial Protection Bureau was reviewing whether to levy a potential penalty against Wells Fargo for mortgage misdeeds – but President Donald Trump insists the banking giant will pay. Wells Fargo got in hot water earlier this year over revelations that it had charged borrowers improper rate-lock fees – just one of a seemingly endless parade of scandals for the bank over the last year. More than 100,000 borrowers paid the questionable fees between September of 2013 and February of 2017. The bank has said it would be refunding those fees over the next few months. News agency Reuters, citing sources familiar with the matter, reported that the CFPB had been investigating this issue and had set settlement terms that could have seen the bank paying a penalty of tens of millions of dollars. Former CFPB Director Richard Cordray approved the settlement before stepping down last month, the sources said. But Acting CFPB Director Mick Mulvaney, who was a vocal critic of the agency before taking its reins, has pledged to re-examine the agency’s ongoing enforcement work – which sources said includes any potential sanctions against Wells Fargo. But President Donald Trump said Friday that the bank will pay. Trump does not have the authority to levy penalties or increase existing monetary fines.